Fellony Hudson, a 22-year-old man from Oregon, is accused of felony kidnapping, felony eluding and felony possession of a stolen vehicle after being pursued by police across state lines. Hudson was charged with a total of three felonies and four misdemeanors during his court appearance Wednesday. Police received a report of a woman being assaulted inside of a moving vehicle Hudson was operating early Tuesday. 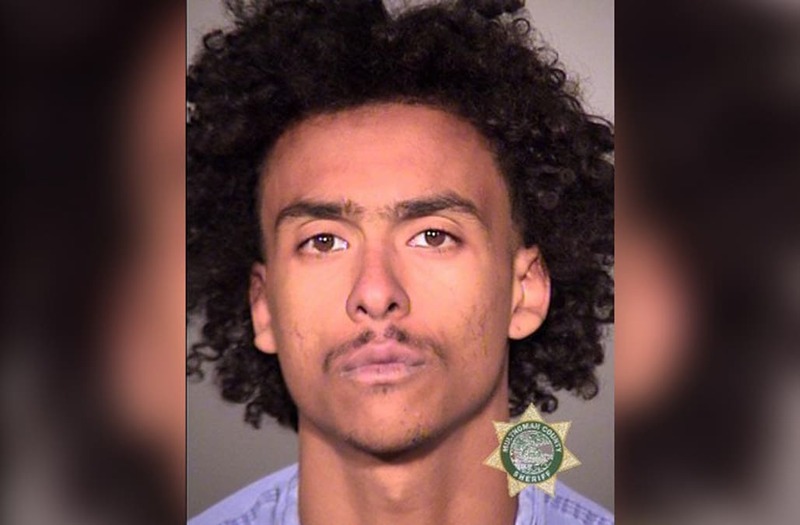 ​​A high-speed chase soon followed, spanning several states, after Hudson was found driving erratically and running a red light in a stolen vehicle, Vancouver Police spokesperson Kim Kapp told KOIN. Eventually, Hudson was taken into custody and arrested later that evening after one of his wheels deflated when he sped across a set of spike strips, ending the chase. According to WCMH, Hudson had previously been convicted of four felonies in Washington state. The woman inside Hudson's car was reportedly his ex-girlfriend. WCMH reported the case is now being prosecuted by the Multnomah County District Attorney's Office Domestic Violence unit. The local outlet also reported that Hudson told police he uses meth daily and heroin weekly, according to jail records obtained by the station.